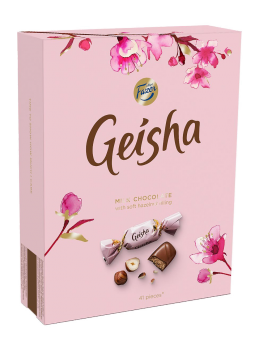 Geisha. Every day holds a little dream. A perfect match of milk chocolate and crispy hazelnut filling.